Riser block fits tires up to 2.25 wide. Four point height adjustment from 0.5 to 2.0. Same as the Riser Block, with the addition of a 100 bearing lazy Susan style turntable for realistic front wheel motion. 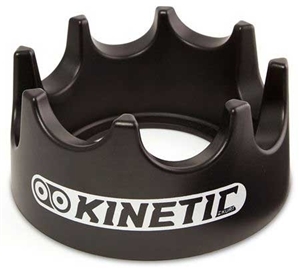 Helps refine technique by revealing flaws in cycling form when used with a Rock Roll trainer. Your browser isn't supported for displaying eBay items. 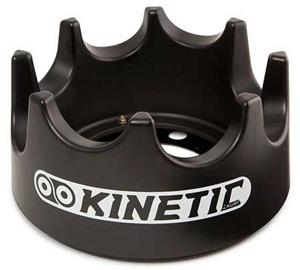 Go to eBay to search for Kinetic by Kurt Riser Bicycle Trainer Turntable Riser Ring T 750C S.